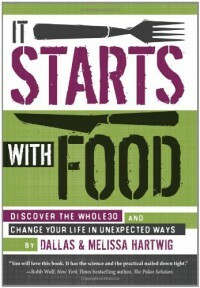 Excellent book.Did the Whole 30 once before, following the diet from the website. Lost 13 pounds in one month. My failure was in not reintroducing things one at a time to find out what I was sensitive to.The science here is easy to understand and the references in the back make it easy to dig in deeper if you feel like what they've presented isn't clear enough or rich enough.I bought the e-book and felt that the food and recipe section was difficult to navigate on my e-reader and iPhone, although I am sure that an iPad would be much easier to use.I'm a huge proponent of this way of eating and this way of thinking, and I highly recommend this book to anyone who has struggled to lose weight, who has suffered from any chronic medical condition, or who just wants to look and/or feel better.